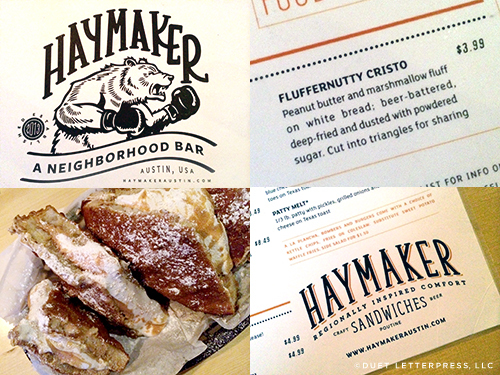 A few weeks ago, we checked off Haymaker from our Ultimate Austin List when we stopped in for their happy hour. The highlight was their Fluffernutty Cristo. Amazing. Even better with chocolate sauce [which we asked for]. 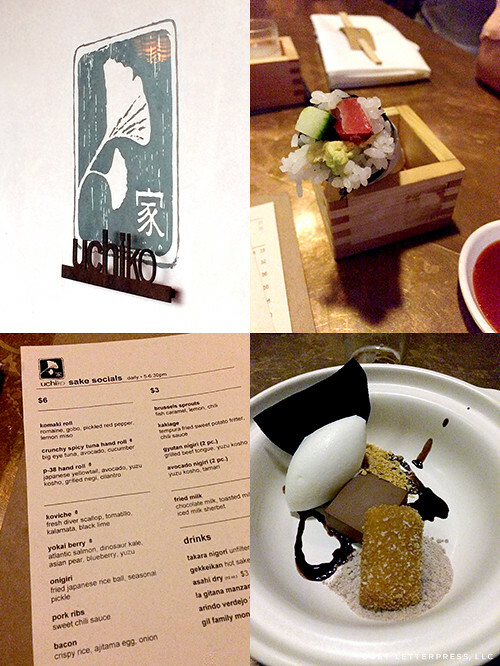 This past weekend, we checked Uchiko off our Ultimate Austin List. We went for happy hour and it was amazing! The brussels sprouts were so incredible that I’m still thinking about them. I pinned a few supposedly similar recipes. And, I’m thinking of trying them out for Thanksgiving. 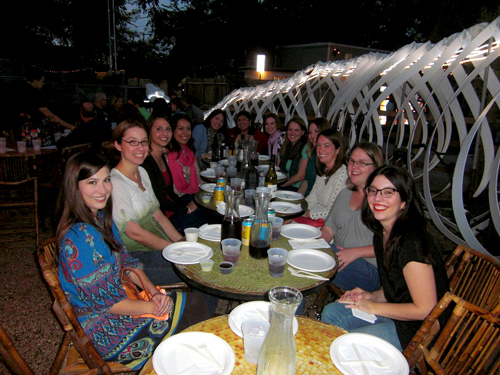 This weekend, some special friends came to Austin to celebrate friendships + have fun. Some things we did? Well, G’Raj Mahal Cafe + Rainey Street, Iron Cactus, Esther’s Follies, 6th Street, Phil’s Icehouse, Central Market, Pinthouse Pizza and The Oasis. There was also Shady Grove, hiking Mount Bonnell, a Pubcrawler, Austin Water Bikes + Bats, shopping on SoCo, Amy’s Ice Cream, Torchy’s Tacos and Stubb’s Bar-B-Q. Needless to say, I was able to cross a few things off our Austin list. Thanks for the ton-o-fun, girls! Photo taken by Allie at Everyday Adventures. 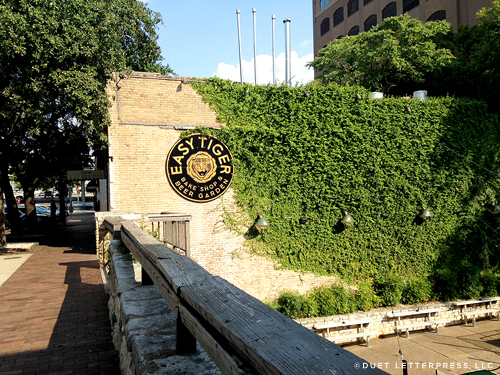 Friday evening, we ventured out to check off Easy Tiger from our Ultimate Austin List. I first discovered the bake shop + beer garden when their website design made the rounds online. Not a huge menu, but what we got was really good – smoked pastrami sandwich, baguette and butter, charred okra and pain au chocolat. Afterwards, we had a little more time to pass otherwise we would have been caught in the heading-home-traffic that’s brutal in Austin. 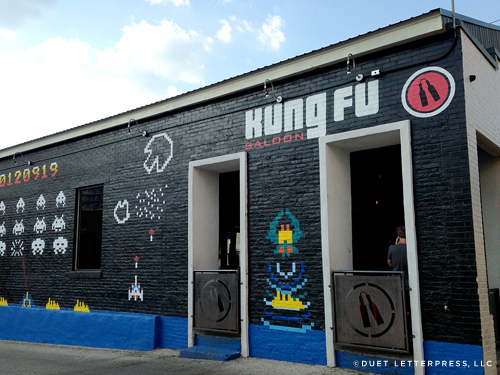 So, we went to Kung Fu Saloon. Kung fu saloon? Fourteen vintage arcade games + a full bar. 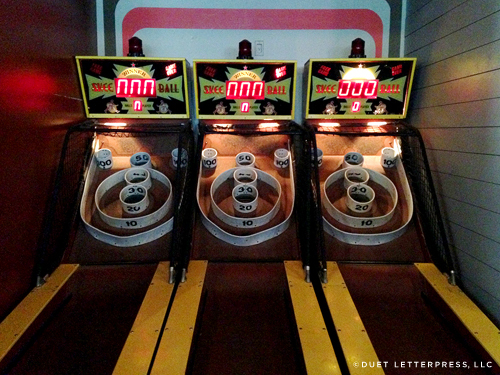 My favorite are the vintage skee ball machines. And they are free! 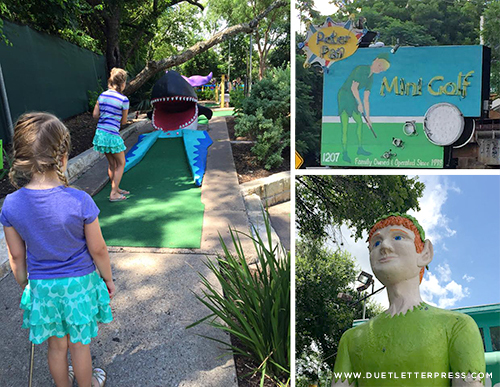 We crossed off a couple of places from our Ultimate Austin List! 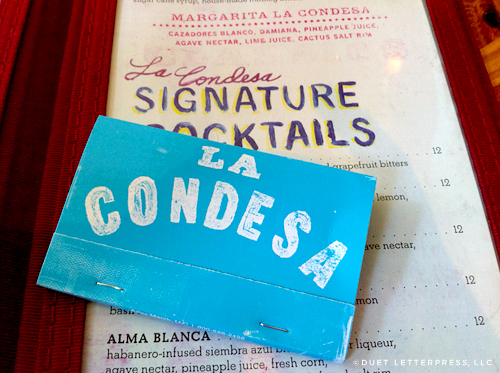 First, we picked La Condesa to celebrate my cousin’s birthday. So very yummy. Plus, P. Terry’s. 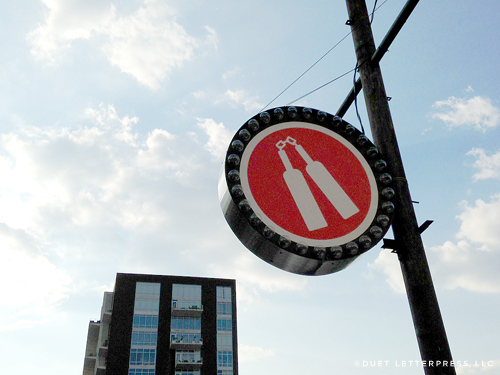 Before moving to Austin, we actually went to their Barton Springs + South Lamar location. 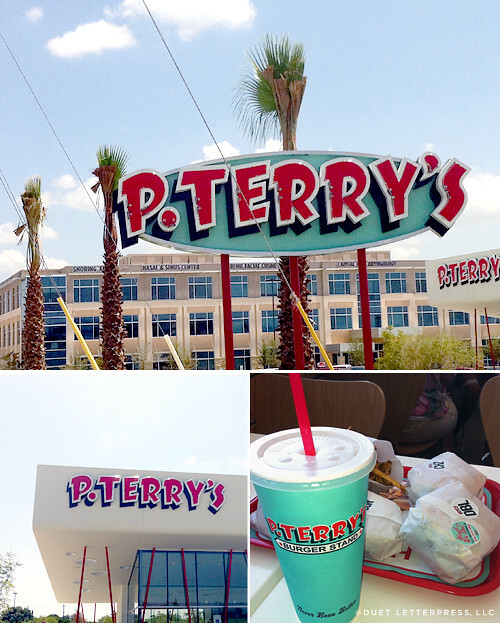 They recently opened a P. Terry’s in North Austin so we went to check it out. Good, cheap + quite possibly my favorite fries!